At University of Maryland Capital Region Health, our heart arrhythmia doctors (electrophysiologists) use the latest methods to diagnose and treat arrhythmias, including minimally invasive techniques (those that only require a few small incisions). Echocardiogram: Assesses the structure and function of your heart using ultrasound (sound waves). Electrocardiogram (EKG or ECG): Records your heart’s electrical activity, using electrodes placed on your skin. Event and Holter monitors: Continuously measure your heart’s electrical activity for a few days or weeks. Your doctor may use an electrophysiology study (EPS) to assess your arrhythmia. To perform this minimally invasive test, your doctor inserts a thin, flexible wire into a vessel in your upper thigh or arm and guides it to your heart to record your heart’s electrical signals. Your doctor may use this method to deliver medicine to your heart to see if it stops the arrhythmia. When arrhythmia symptoms are frequent, but not frequent enough to evaluate them with an event or Holter monitor, your doctor may use an implantable loop recorder. This small device, which is implanted under the skin of your chest, automatically alerts your doctor when your heartbeat goes above or below a set rate. The device can record your heart’s activity for up to two years (the device’s battery life). Your doctor can implant the device in an outpatient procedure. You can go home the same day, with almost no restrictions on work or activity. Our specialists use the least-invasive techniques possible when treating arrhythmias. When medicines or lifestyle changes don’t relieve symptoms, we offer advanced procedures to treat arrhythmias and improve your quality of life. Implantable cardiac devices continuously monitor the heart’s electrical system and deliver an electrical signal when an arrhythmia occurs, which restores a regular heartbeat. These tiny, battery-powered devices — implanted just under the skin on your chest — have a few attached wires (leads) that are placed in different areas of your heart. At UM Capital, doctors use sophisticated devices that provide real-time data that allow them to monitor your device’s performance and your health. This lets your doctor customize the device to meet your specific needs. Pacemakers: Our arrhythmia specialists are experienced in pacemaker implantation — including temporary device and lead placement, and replacing old devices with newer, more advanced models. Automatic implantable cardioverter defibrillator: Regulate a fast or slow heartbeat. Your doctor uses a minimally invasive procedure to implant the device, which offers a faster recovery than open surgery. Doctors can use an external medical device, called a defibrillator, to return an abnormal heartbeat back to normal. To perform cardioversion, your doctor places electrodes (on adhesive patches) on the skin of your chest and back. The electrodes deliver an electrical impulse to your heart to restore a normal heartbeat. Atrial fibrillation is a type of arrhythmia caused by fast, chaotic electrical signals in the heart. This causes the upper chambers of your heart to quiver rather than contract normally. 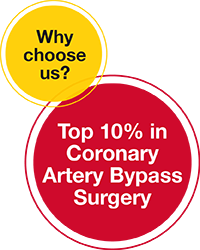 When medicine, lifestyle changes or minimally invasive arrhythmia treatments are unable to control symptoms, your doctor may recommend maze surgery. Your surgeon makes a series of small cuts (in a maze pattern) in the upper chambers of your heart (atria) and immediately closes the cuts, which creates scar tissue. The electrical impulses that cause the arrhythmia can’t cross over the scar tissue, so the impulses must follow a defined path through your heart. This prevents the irregular electrical signals and restores normal heart rhythm.